The Plantronics EncorePro HW520 NC is the binaural version of the all-new HW510 design, covering both ears to provide greater focus and concentration by blocking background noise. The HW520 also has soft ear cushions for all-day wearing comfort, metal joints that deliver durability and reliability, and a flexible mic with visual and tactile positioning guides for precise positioning and clearer conversations. 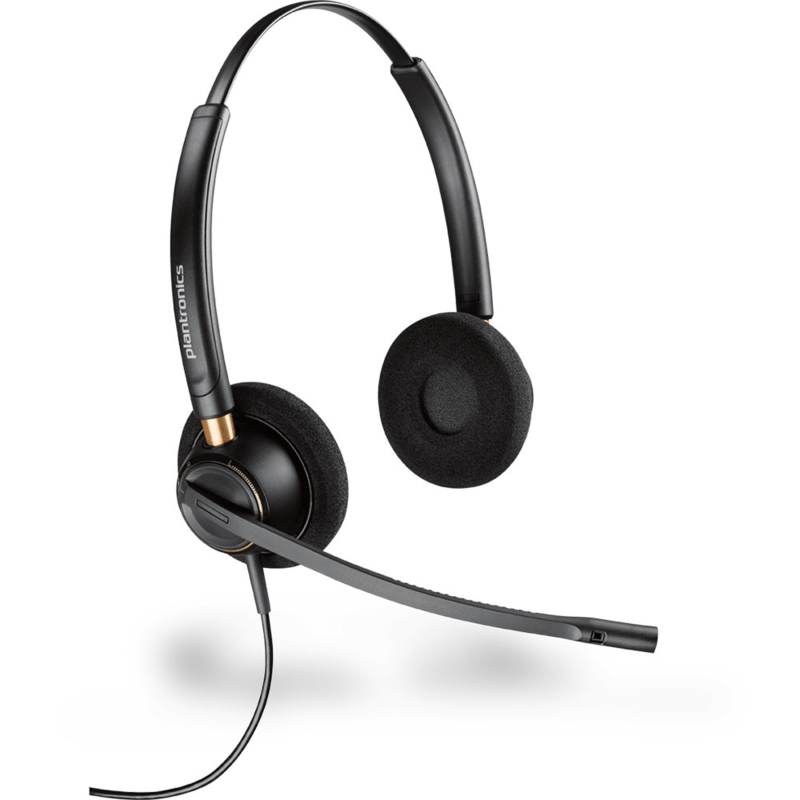 The Plantronics EncorePro 500 headset series is an all-new generation of headsets for customer service centers and offices, designed for the future, and built on experience. Three innovative models deliver greater comfort for all-day wearing, superior noise-canceling for clearer calls, and increased reliability so conversations can continue without worry. And they'll help you meet the OSHA / Noise at Work regulations. Have a question about the Plantronics EncorePro HW520 Noise Cancelling Headset?